Already regarded a studio essential by many producers of hip-hop, grime, trap, DnB and other contemporary urban styles around the world, Urban Cookbook 2 – the sequel to the equally essential Urban Cookbook 1 – is now available as a fully integrated Live Pack. The 3000+ one-shot samples at the core of Urban Cookbook 2 are dominated by the beautifully saturated drums and percussion for which Goldbaby is best known. All the expected kit elements are copiously represented – kicks, snares, claps, rims, toms, hi-hats and cymbals – as well as a ton of congas, bongos, bells, shakers, woodblocks and more. However, the Pack also encompasses an expansive selection of basses, synths, FX and layering tools guaranteed to sate any beat maker’s creative appetite. 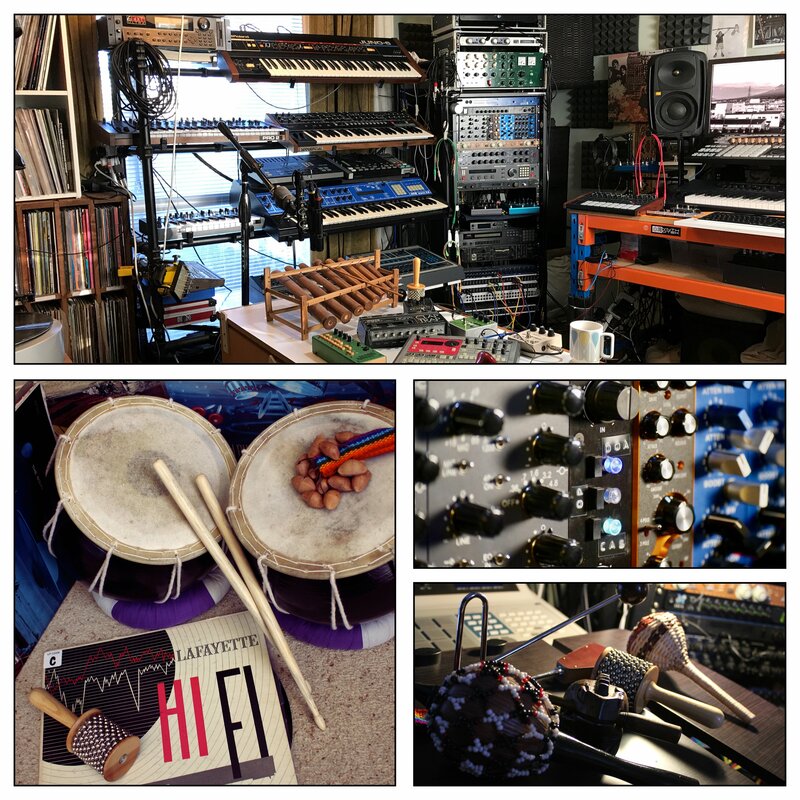 The drum and percussion samples take in both electronic and acoustic sources, such as the Roland TR-808, Jomox M.Brane 11, Gretsch drum kit, Zildjian cymbals, Pearl Drum-X and Electron Machinedrum, while the synths and samplers utilised include the Akai MPC60, Korg MS-20, E-MU SP-12, Moog Slim Phatty, Teenage Engineering OP1, Native Instruments Reaktor and Waldorf Blofeld. And as with the original Urban Cookbook, Goldbaby has spared no expense or effort in the processing department, infusing every sound with warmth, crunch, punch and vibe through the deft use of vintage samplers, dub plates, tape and an Aladdin’s cave of high-end analogue outboard. Samples can, of course, be imported directly into your Live sets from the Browser, but Goldbaby has also compiled many of them into 87 mix-ready Drum Racks. 49 of these are drum kits; the rest comprise 11 FX kits (risers, impacts, etc), 19 Hits and Chords kits (pads, leads, etc), and 8 Vox kits (vocal cut-ups and shots). The Drum Racks can be deployed as is, or freely customised by dragging pads and samples in from other Racks and the library as a whole. In addition, 9 multisampled Instrument Racks with mapped Macros and 22 Simpler instruments provide more synths, 17 basses and an array of chromatic percussion; and ten Live Sets serve as flexible starting points for your own compositional flow. Over 200 sampled loops deliver instant rhythmic inspiration, and a toolbox of clicks, subs, vinyl crackles, digital noises, scrapes and other textural sounds is on hand for beefing up kicks, adding grit and bite to snares, and working general dirt and flavour into your grooves.